When you’re ready to lay out your drawing for plotting, you’ll start working with layout tabs. Here are some tips to make this task easier. Rename a layout tab by double-clicking it, then just type the new name and press Enter. And remember, you should name your layouts something other than Layout1, Layout2, etc. Move a layout tab by dragging it to a new location. To copy, press Ctrl and drag. Then rename it. To move through the layouts from left to right, press Ctrl+Page Down. From right to left, Ctrl + Page Up. This doesn’t cycle around, so when you get to the end, you have to go the other way. Create a layout from a template. The Select File dialog box opens. Choose a DWG, DXF or DWT file and click Open. AutoCAD imports everything on that layout, including viewports, existing text, the titleblock, etc. Recent releases let you hide the tabs (one release, I don’t remember which one, even had this as the default). I don’t recommend it because you lose the ability to use some of these tips. If you don’t see tabs, right-click the button next to the MODEL/PAPER button on the taskbar and choose Display Layout and Model Tabs. What are your favorite tips for working with layout tabs? Leave a comment! I wanted to ask how could I maintain the linetype scale in the layouts? I think this is an issue that many people have. If you set the scale of the viewport itself and your linetype scale isn’t appropriate, you may want to change the scale for a specific object. Have you tried working with annotative blocks? I haven’t tested them with linetype scales, but they do automatically change the scale depending on the viewport scale. i always rename my tabs because I have a field in my titleblock which uses the tab info as the title of the sheet. see the ‘ctab’ field which is in the other/system variable boxes. set to title case and you dont even need to capitalize you tabs. 1) Activate the viewport by double clicking inside of it. Hi, am using autocad 2011 and i have automatic publish set up to print to pdf when closing a dwg. i used to use autocad 2010 and when it published the pdf it used to pick up the name of the tab and put it at the end of the pdf name. it no longer does this, is there a way of enabling this? I am an electrical controls guy, our company uses multiple layout tabbed drawings for our schematic wiring diagrams. We have multiple dwg files with multiple layout tabs for a schematic wiring diagram. I am looking for an easier way to “jump” to a layout tab than ctrl-pg dn/up or the dreadful navigation arrows. I know from using MS Excel that I can put my cursor on the lower left “tab navigation arrows” and ctrl/right-clicking will give me a list of all tabs on the spreadsheet then I can click on the tabname that i want to make current. Any such feature in AutoCad 2011? Sally, is your plotstamp on? I would suggest setting up a sheet set with the sheet set manager to combine the numerous ACAD files with multiple layouts in each file into one sheet set. The sheet set will give you a thumbnail preview of each layout making navigation of the layouts much easier. You’ll also find that it makes publishing your layouts much easier as well. Kurt, in line with Mark’s suggestion (thanks, Mark! 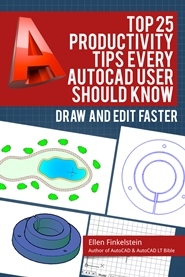 ), I have a blog post on it at https://allaboutcad.com/autocad-tutorial-create-a-simple-sheet-set/. Thanks for the tips Ellen, I just upgraded to 2015 recently and am still coming to grips with the peculiarities of some of the changes. Today’s is that I thought I used to be able to drag a layout tab all the way from one end to the other. Now I can only drag it within what is currently displayed. Also the tabs seem to have acquired the ability to jump around more easily.Is there a way to quickly lock and unlock the tabs so they cannot be moved? I ran into the same issue with my recent update to 2015. There is a Hotfix on the Autodesk website. 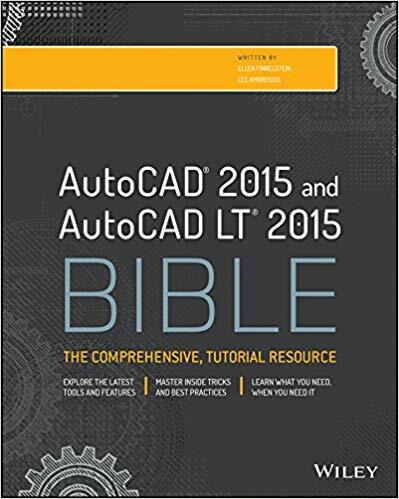 (Layout_Tab_Order_Shifting_Hotfix_AutoCAD_2015_SP2_64bit.zip) I downloaded this and replaced the associated .dll file. Thankfully everything with copying/moving tabs is back to normal – no more scattered/shifting order!